-The program costs $150 per session (5 classes/week). Supervision may not always be available before and after each class session. Please plan to stay with your student(s) until the instructors are ready to begin camp and please be on time for pickup. Students must pass a water safety test on the first day of camp. All students should have completed kindergarten by June 26, 2017. -5 or more students must be enrolled for a session to be offered; refunds will be offered if a session is cancelled. A great opportunity for youth to learn and practice small boat sailing skills on Laser and or BIC class boats. This program is designed for those students who are enthusiastic about sailing and who want to extend their sailing experience through the summer. The course is taught Saturday Mornings. 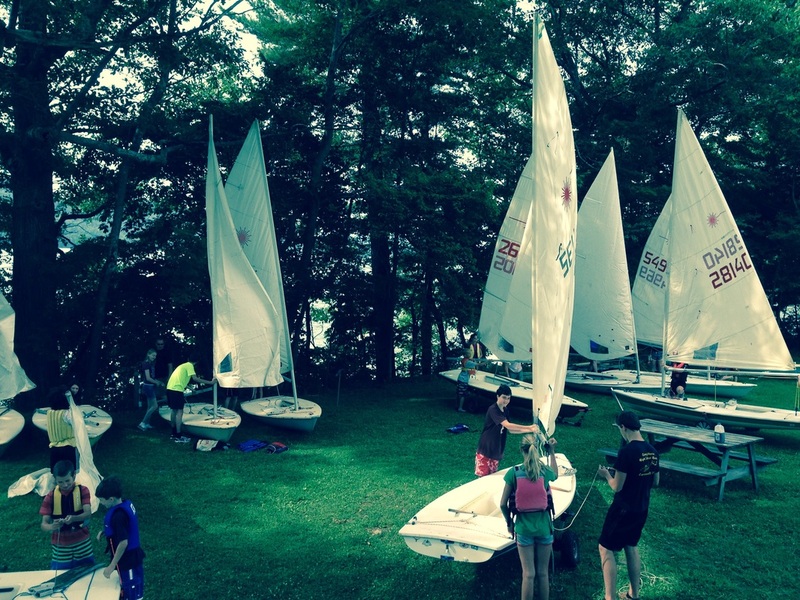 Students will develop boat handling techniques and advanced sailing skills through “chalk talks” on shore and in an on the water class room consisting of buoys. The students may sail Opti’s, Bics, and Lasers. The course is designed to be both instructive and fun. It is hoped that students will develop confidence and skills that will allow them to become more independent sailors. -Class size is limited to 15 students per session. -Class starts at 9 a .m. and ends at 11:30 a.m., Saturdays only. -The 5th and final class is a 'sail-along' on a Saturday morning starting at 9 a.m. Students will sail with OSC club members on several different types of sailboats and have the opportunity to practice their skills as captain and crew. Students will gain a sense of what is involved in being a sailboat owner. 1. All students must have a life jacket with attached whistle, sneakers, clothes that they are comfortable getting wet in, and a change of clothes at each class. Water-resistant sunscreen is recommended.